Please see the end of this page for all useful DATES 2018 onward – these are updated as they are confirmed. * Fees are payable by Term, or by agreement, in monthly instalments. 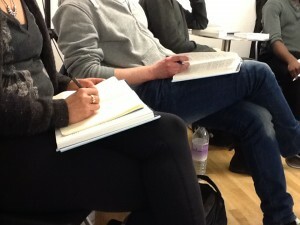 CHARACTER ANALYSIS: Masterclass Series [4 stages] 4-day course = £350*. 5-day courses £400. * Instalments payable by block, or by agreement, in monthly instalments. r 4-Week Acting Intensive Training in London! CHARACTER ANALYSIS INTERNATIONAL Advanced Mastery workshops – for those who have completed the 4 initial stages – by application. ** £100 deposit secures a place, the rest is due 3 weeks before. * or by agreement, in monthly instalments. Rolling programme. INTRODUCTION TO ACTING FOR BEGINNERS/ENTRY LEVEL evening – 3 hours (10 session block) £290. Set dates; £100 deposit secures a place, the rest due 3 weeks before. To register, please email to ask for further information, including your Spotlight link or pro-CV. 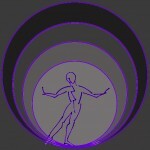 MOVEMENT PSYCHOLOGY: CHARACTER ANALYSIS WORKSHOPS IN LONDON Stages 1-4 each £400. *or by agreement, in monthly instalments. Rolling programme. ADVANCED VOICE and MOVEMENT (by application). IMPROVISATION (10 session block) £230 or by agreement, in monthly instalments. Rolling programme, SEPTEMBER – MARCH. Please enquire about payment options; we also offer a discount for packages of courses, when booked together. Our MASTERCLASSES and WORKSHOPS are Individually priced – here for information. Please check our Terms and Conditions as our prices, terms and conditions may change over time. Part-time classes are provided in blocks of 8, 10 or 12 continuous sessions as advertised, unless agreed otherwise. (*Paying by instalment does not over-ride the agreement to pay for the whole block, however many classes are attended). Full-time short courses, workshops and long courses are offered on an individual price basis, with a limit on numbers. Advanced courses are by application / CV. A deposit is required in order to reserve a place; this is not transferable or refundable. 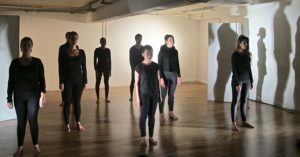 Many of our ongoing PART-TIME COURSES such as Acting evening classes, Voice, Movement, Meisner Technique etc operate on a ‘rolling programme’ i.e. Classes may be started at any point between September and June, booking in for 10 or 12 continuous sessions (excluding Centre-closed dates) thereafter. Exceptions include Screenwriting, On-Camera, 30-week Progression courses, and Introduction to Acting for Beginners, which have specific start-dates. Please ask for further information. Part-time classes operate on a minimum of 5 and maximum of 15 members (fewer for some courses); some technical classes take a break while the full-time-equivalent students are on vacation. Special arrangements apply. This may be due to full-time student productions taking place; OR the running of Acting Intensive Schools and special Masterclasses. Acting evening classes take a break in April, August to mid-September, mid-December to early January. HOWEVER – please enquire about booking individual coaching – keep in shape, prepare for castings and auditions! Dates – please check here or email to ask for further information. Our FULL-TIME-EQUIVALENT 3-term Foundation ATCL DIPLOMA runs according to the following term-dates in 2018 – 2019. 4-term Advanced Programme Group 8 term-dates in 2018 – 2019. 4-term Advanced Programme Group 7 term-dates in 2018.